Geert Wilders, a popular anti-Islamic politician, went on trial in Amsterdam on Wednesday, charged with inciting hatred against Muslims in a case seen as a test of Dutch tolerance and free speech. Mr Wilders sparked outrage with his 2008 film “Fitna”, which compared Islam to Nazism, and his repeated calls for the Koran to be banned on the same basis as Adolf Hitler’s Mein Kampf. His Freedom Party is leading the opinion polls in the Netherlands and came second in European elections last June. 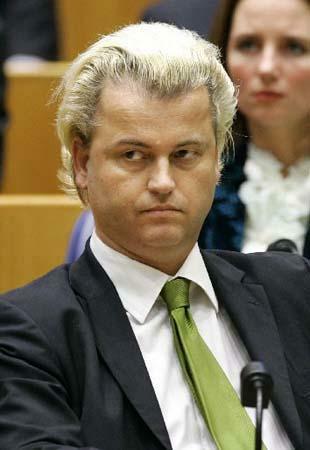 “I remain combative and still convinced that this political process will only lead to an acquittal,” said Mr Wilders. Outside the court, dominated on the first day by procedural issues and wrangling, up to 300 protesters chanted slogans such as “Do not silence Geert” and “We are all on trial”. Fort Hood shootings – I hope it’s not a Muslim. A CNN special investigation looks into the causes and effects of the Fort Hood shootings, Saturday at 8 p.m. ET on CNN TV. Thirteen flag-draped coffins left Fort Hood on Friday as authorities searched for a motive in the massacre that left more than 50 casualties at the largest U.S. military base. Thursday’s mass shooting killed 12 soldiers and one civilian and wounded 38 people at the Fort Hood Army Post in Texas. The suspect in the shooting, Maj. Nidal Malik Hasan, a licensed Army psychiatrist, was among the two dozen who remained hospitalized Friday night. Hasan was transported to Brooke Army Medical Center in San Antonio, Texas, and was in critical condition but stable, a spokesman said. Investigators were waiting to speak to the comatose Hasan, who is under heavy guard, said Col. John Rossi, the post’s deputy commander. FBI agents helping investigate the shootings searched Hasan’s apartment on Friday while investigators sifted through the crime scene, Fort Hood’s military processing center, where soldiers report before they go to war. Иншаллах, сегодня вечером начинается священный для мусульман месяц Рамазан. Завтра первый день поста. По мере возможностей я постараюсь постить ссылки на полезные книги и статьи, касающиеся поста, молитв, деяний, милостыней и др. мероприятий, совершающихся в этот месяц. Finding a halal restaurant just became significantly easier for American Muslims, thanks to a new smart phone application launched this month that makes dietary religious observance a piece of cake. Ask dietary-cautious Muslims in the west what their major challenge is when it comes to eating religiously-permitted foods and they’ll say finding a halal place on-the-go. But with Halalpal, an iPhone application that locates halal restaurants and eateries throughout the United States, sticking to a halal diet has become much easier. The search engine application designed for Apple’s iPhone gives users a list of nearby restaurants with maps, contact information, price categories and recommendations. The application scans the internet — mainly Google, Yahoo, Yelp and the online guide to halal restaurants and products known as Zabihah.com — to produce a list of halal eateries sorted by distance. Rami Dodin, Halalpal’s 26-year-old founder, said his application fills the gap between technology and religion in daily life. After years of working in the IT business, Dodin realized there was a void between the services offered by the latest technologies and gadgets on the one hand and the everyday local needs of Muslim Americans on the other. “Halal eating is a very niche thing and it is hard to get specific search results off of Google and Yahoo because they do not target that specific customer group,” he explained. A team of international scholars is responsible for the 515 entries, which are arranged alphabetically and range from 200 to 5,000 words in length. Many include some sort of illustration and end with helpful see also references and excellent supplemental bibliographies. A useful index completes the set. 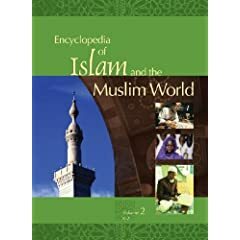 Coverage includes the religious dimensions of Islam as well as the development of the tradition in various parts of the world (e.g., Africa, South Asia, U.S.). Cultural issues of importance to the history of Islam (e.g., architecture, calligraphy, language) are also treated. Entries such as Political organization and Political thought demonstrate the historical completeness for which the encyclopedia strives, tracing developments from the life of the Prophet to the present day. Even topics of contemporary interest include a historical perspective. The entry for Jihad describes the many meanings of the term, including its contemporary association with violence, and how the concept has developed historically. The treatment of secularization in the Muslim world includes a comparison to historical events in the West, thereby helping the reader to understand that it cannot be understood solely from a Western perspective. Finally, the biographical entries include important figures from the religious, cultural, and political history of the Muslim world.